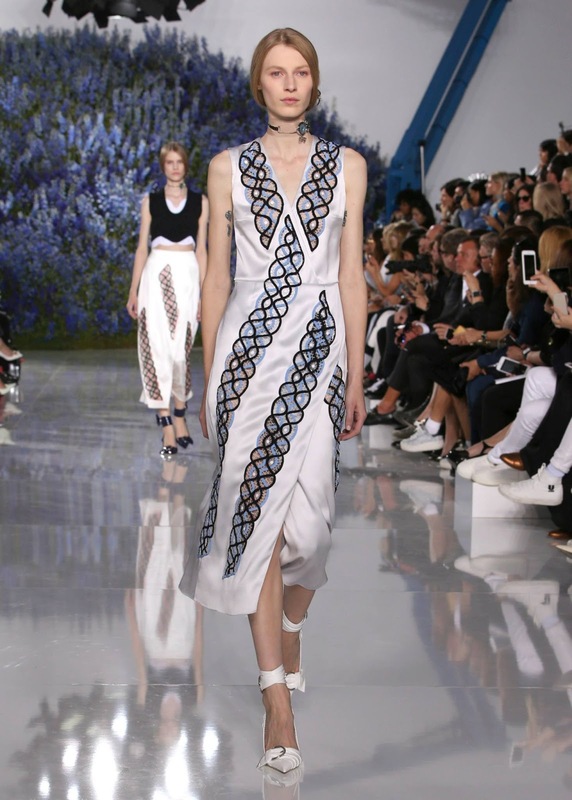 Dior debuted their Spring Summer 2016 (SS2016) collection at a fashion show in Paris on 2 October 2015 with the theme “Horizon” which Dior interpreted as a clean and clear naturalistic line of beauty, looking from the past into the expanse of the future. 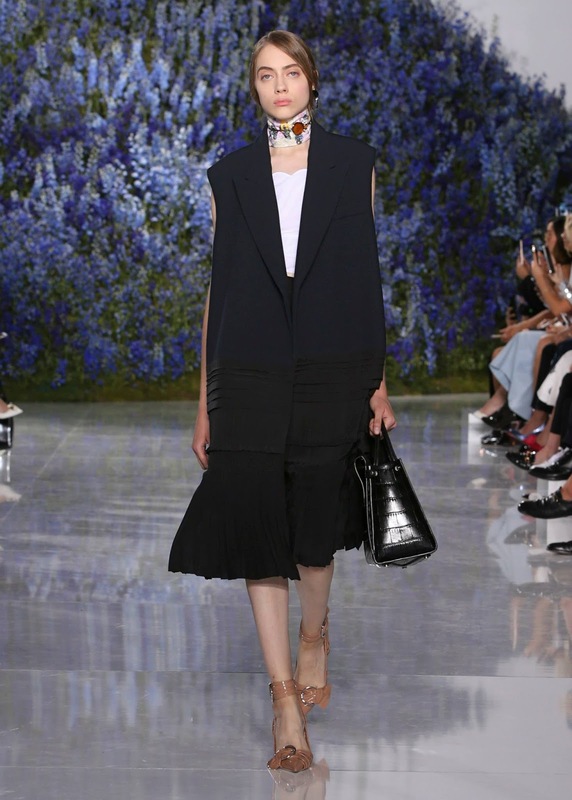 In the Spring-Summer collection, Raf Simons, Artistic Director of Christian Dior, strips away many extraneous elements to concentrate on a purity of line and precision in technique to find an ease for the future. The collection features designs that are both sensual and disciplined, feminine and masculine, classicism and the contemporary come together to form a new, softer, ideal of futurism in the collection. Fragments of the past collide with the world of the present in historical styles and techniques applied to utilitarian and unisex garments. The feminine tailleur unites with masculine tailoring to find new configurations of three piece suit with horizontal pin striping and a more sensuous cut of military inflected jackets; the traditional, complex pleating techniques of the flou proliferate, finding form not only in dresses but in the fluttering hems of tailored jackets and parkas transformed in horizontal striped duchesse satin; sinuous, bias cut transparent organdie dresses reveal delicate cotton cami-knickers and chemise that can also be layered with cropped, rough-hewn, Shetland knits; the precise geometry in the cut of traditionally heavy historical sleeves, is highlighted in feather light transparencies set against flesh. The collection moves from the self-contained, cultivated garden of the ‘femme fleur’ towards new ground – one that is more naturalistic and alien. A flowered landslide can be seen in the Cour Carrée du Louvre, escaping the traditional bounds of the show venue and pouring inside and out; a soft, fluid landscape of the future. 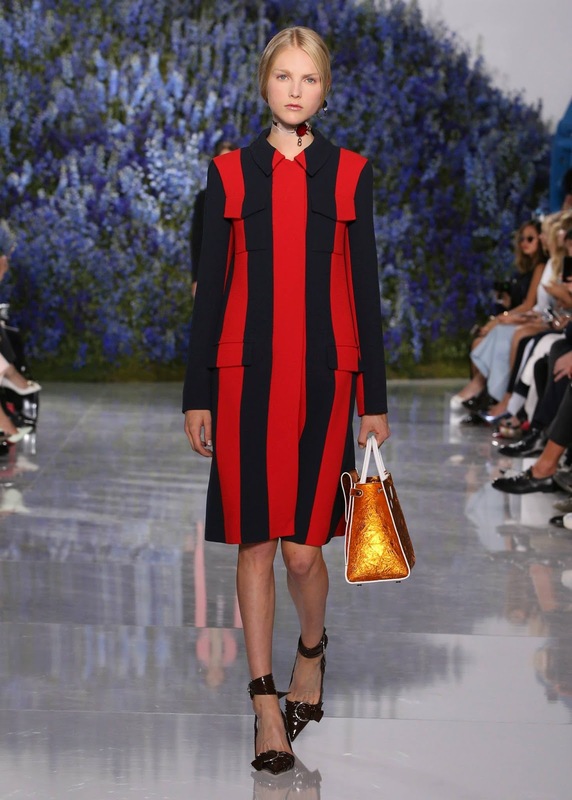 Photo credits: Dior and Ward Ivan Rafik for Dior.